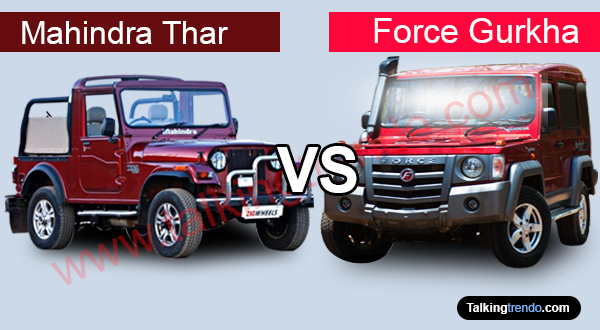 124+ User Votes to help you to compare Mahindra Thar vs Force Gurkha. 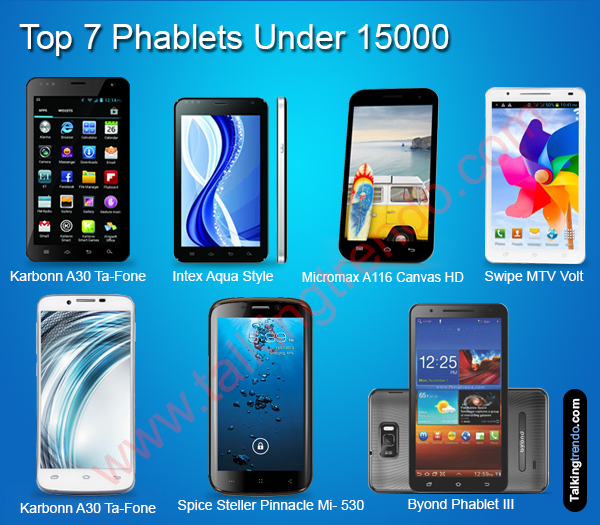 Off-roading vehicle are much more in demand in India, the off-roading enthusiasts in India are searching for vehicles which offers best performance and off-roading capabilities. Keeping that in mind Force Motors recently launched its Gurkha 4×4 which resembles the iconic Mercedes G-Wagen. 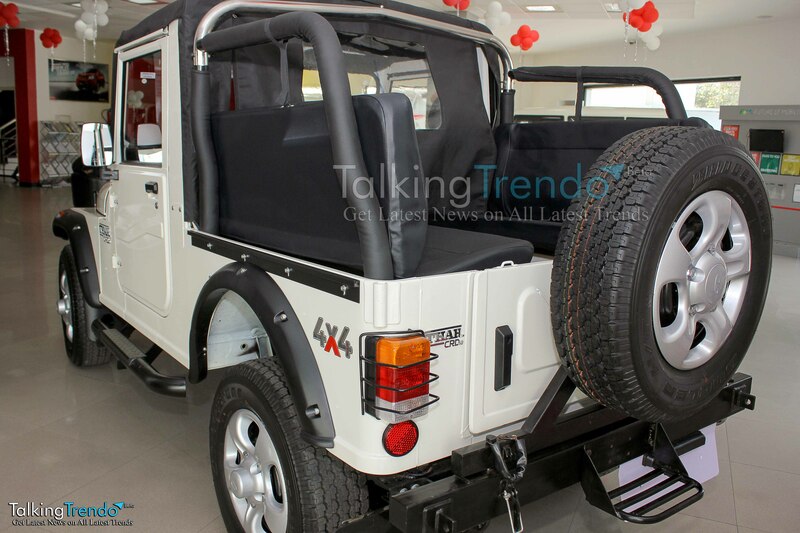 Its closest competitor is Mahindra Thar CRDE 4×4, however Gurkha’s price is slight more than Thar. 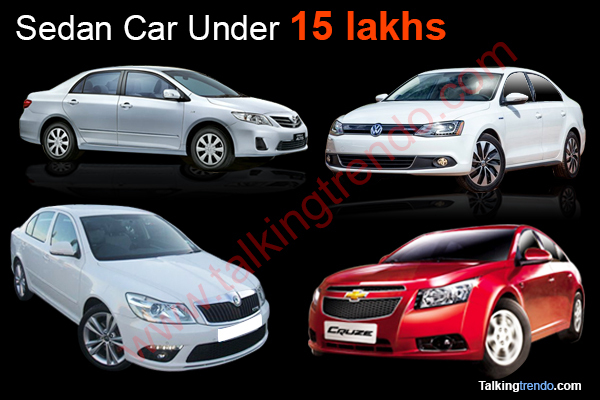 We can compare both the vehicles and find out the positive and negative of Gurkha vs Thar. 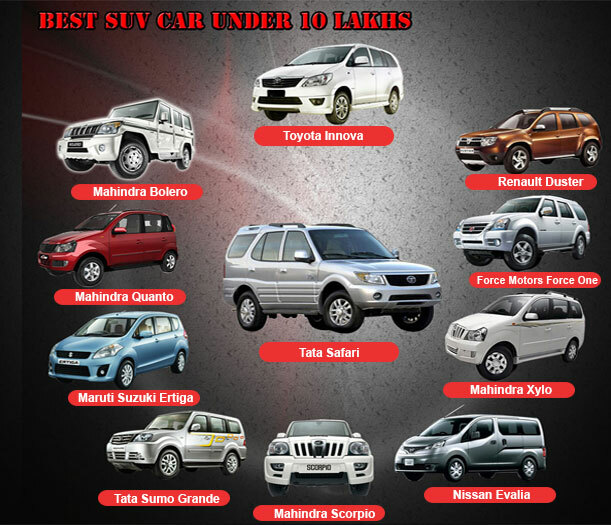 Which Indian Off Roader car you like? Gurkha is more spacious than Thar as it is more longer and wider. Both the vehicles have all steel sculpture, but if you look at the front of Gurkha it comes with more plastic ingredients, such as bumpers,entire front grille and headlamps shrouds. The Stainless steel snorkel gives it a classy look. The interiors of both the off-roaders are well decent and well proportioned. The dash of Gurkha is bit modern and easier to operate than Thar. Seating position and placement of control are much better than Thar. If you are comfortable to compromise with space driving comfort then Thar would be best vehicle as Gurkha has better comfort and space. 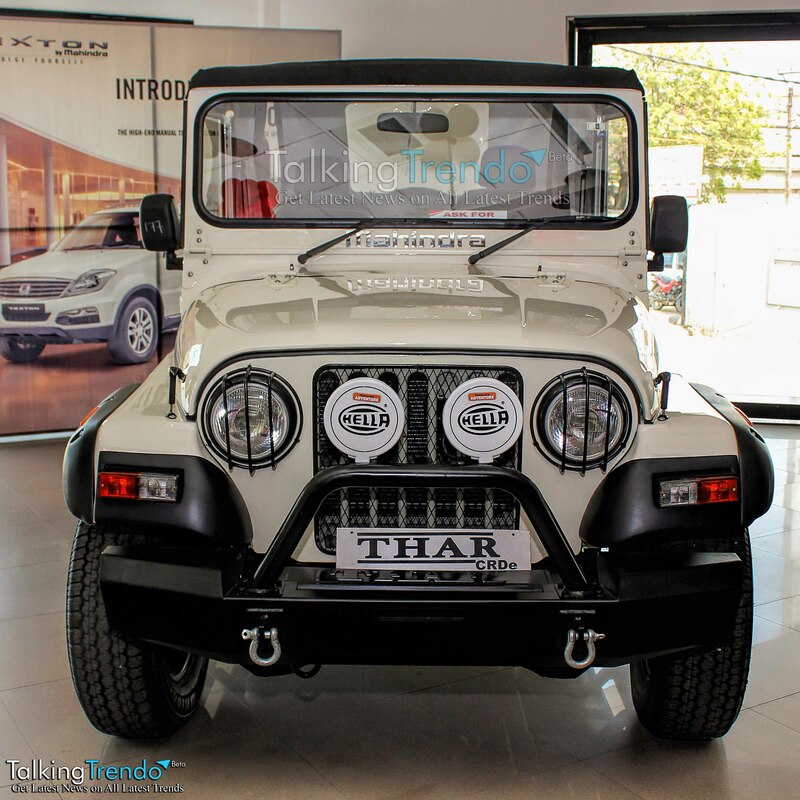 Both the off-roaders comes with enough features for adventurous enthusiasts.AC and power steering are available in both vehicles as standard features.Force Gurkha has better functional features than Thar as it comes equipped with alloy wheels and Fog lamps as standard on all variant.The stainless steel snorkel improves the off-roading capabilities of the vehicle in shallow water. Mahindra Thar is powered by 2.5 CRDi engine which is capable of generating 104 Bhp and 247 Nm of maximum torque. 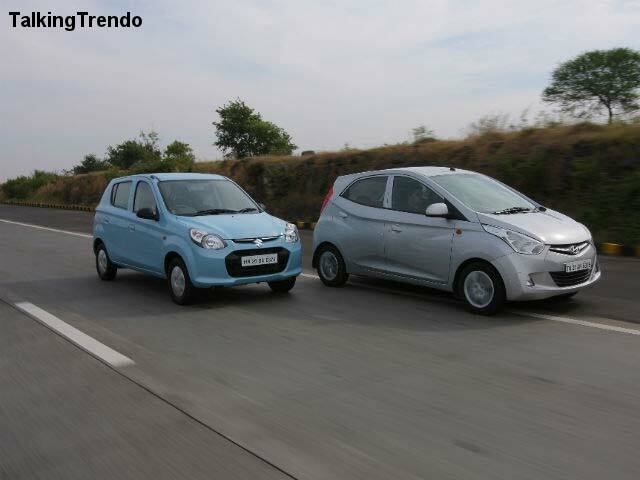 The engine is mated with a five speed manual transmission. Better suspension and improved chassis gives it stability at high speed. The Gurkha on the other hand doesn’t have a BSIV engine. 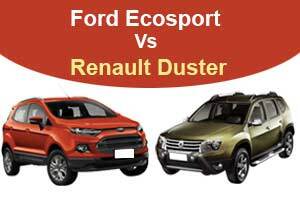 It has 2.6 litre direct-injection diesel engine that puts out 82 Bhp of power and 230 Nm of torque with a five speed manual transmission. It is not that quick as it is 250 kg heavier than Thar and has lower power. Mahindra Thar benefits from its larger service network, which supports easier availability of spares and service. 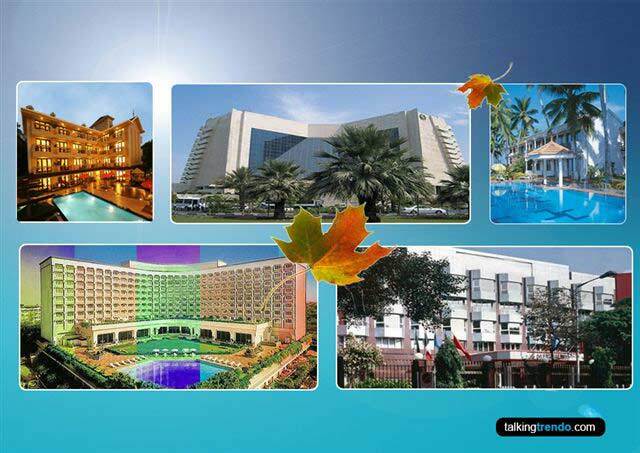 Force Motors has only 14 dealers in the country which is not that dense. However, Force is giving a terrific warranty of three years of 3,00,000 Km on the Gurkha which can attract customer towards itself.